Für Soli, Gemischter Chor und Orchester. 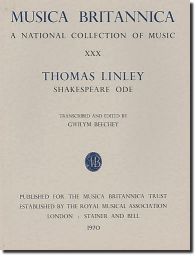 A delightful 'Ode on the Spirits of Shakespeare', this is a remarkable achievement by a young composer whose tragically early death, aged 22, deprived English music of a possible figure of genius who was an exact contemporary of Mozart. Performing material is available for rental.